There are several ways of accessing student work that has been submitted via Turnitin. Browse to the module that contains the submissions you wish to access. 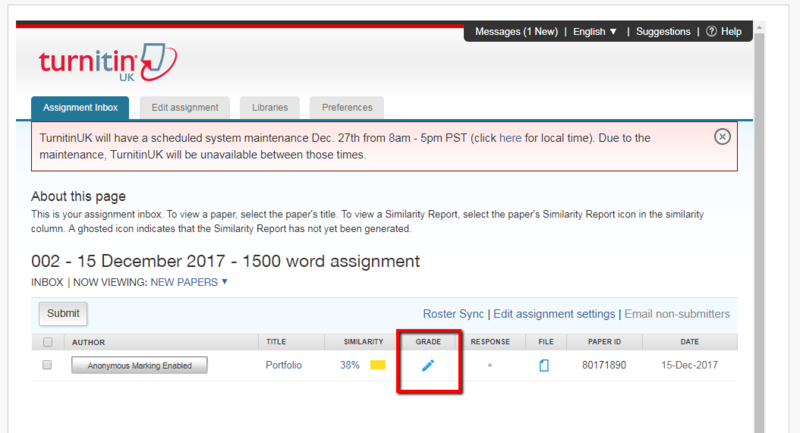 Expand the Course Tools list in the Control Panel then select Turnitin Assignments. 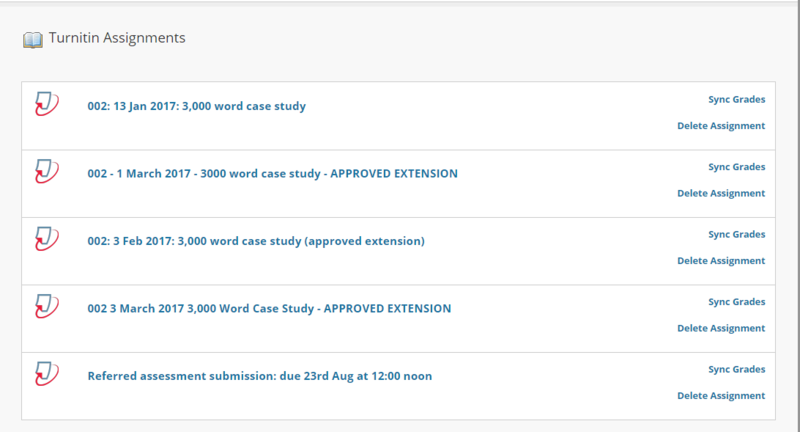 You now see a list of the Turnitin assignments that have been created within this course. Select the assignment that you wish to view. You now see a list of all submissions to the assignment. to open the submission in Feedback Studio.